March is Poison Prevention Awareness Month, and this might be a good time to remind ourselves of the possible dangers cats may come across in their daily lives. We may not be aware of it, but there are many ordinary items that can be toxic to our furry friends. One thing we can do to protect our loved ones is to give our houses (and yards) an inspection, and do a little spring cleaning to get rid of things that could get our felines to not feel very well. You never know, it could even be a life saver. Don’t know what to look out for? Below are three categories to get you going. By no means is this an exhaustive list, but it can help you get started. One place we can look for danger is our potted plants and garden. There are many plants that are harmless to us but can be toxic to cats (we even talked about this in an earlier blog). One such plant category is the lily. Some lilies are known to cause kidney failure, and this can be a serious threat to the health and wellness of felines. If you have lilies, it is recommended that you get rid of them. 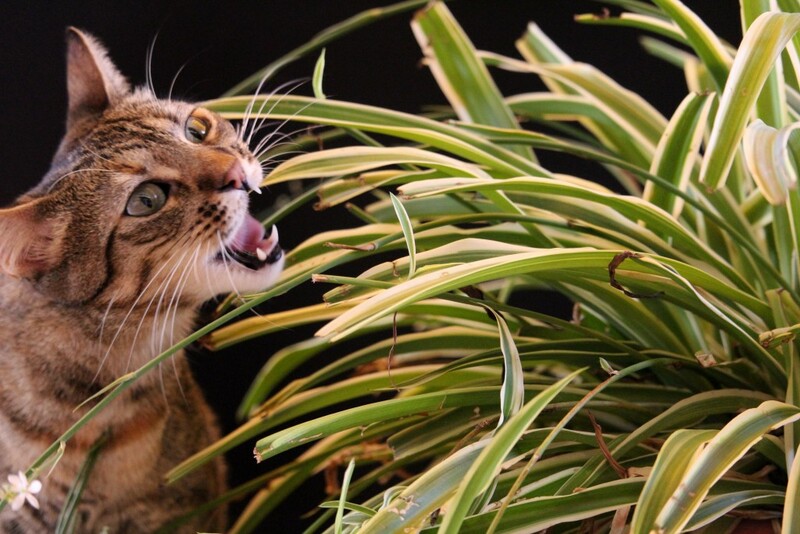 Cats like to occasionally chew on plants, and so having them around can potentially be dangerous. Is your house spick and span? 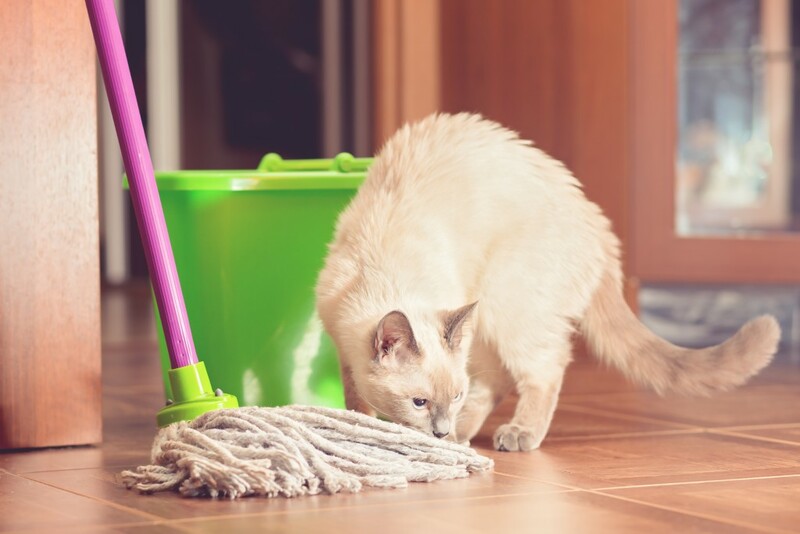 Everyone loves a clean house, but how we clean and what we use to clean can have undesirable effects for our cats. Various household cleaners can cause anything from mild irritation to respiratory failure. Items ranging from detergents to disinfectants can cause harm if your cat licks, inhales, or otherwise ingests them. Even if we hide those away where our cats can’t get to them, they can still find their way into the body. For example, if you clean the floor with a floor cleaner, residue can get onto the paws. Then, when your cat licks their paws, well, they have just ingested some of the chemicals. One thing you can do if you have pets is to use pet friendly cleaning products. Also, reducing the concentrations of the cleaning products is helpful too. Being mindful of our feline companions, we can use common sense and safe products to protect our pets from harm. Did you know that about half of the pet poisonings come from people’s medications? 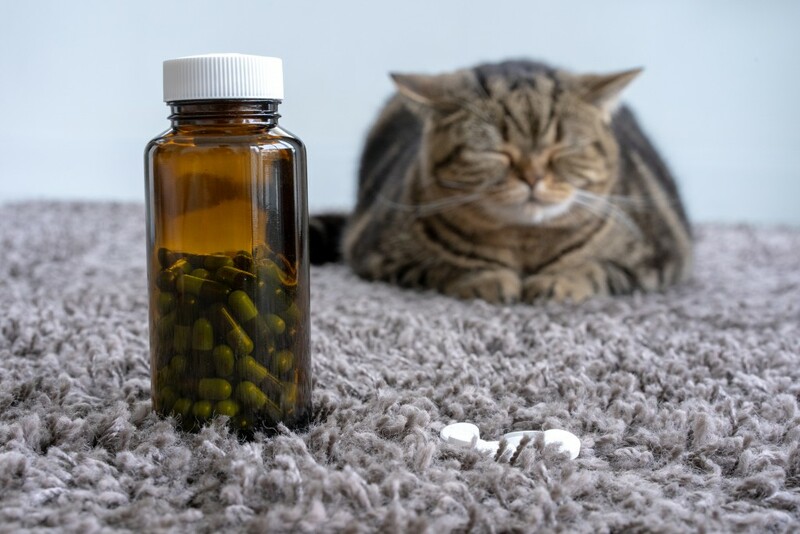 Whether they’re prescription or over the counter, medicines for humans can have serious effects on your cat. Cats can find themselves in many places, and one of those places could be where you keep your medicine. The best practice is to keep all of your medicine in a locked cabinet. Certainly do not leave them out and about on a counter or dresser, or anywhere your cat can easily access. You should also never give your cat human medicine for any ailments. Some things might not cause any harm, but most are potential poison risks, so do not take any chances. You mean well, of course, but the risks are not worth it. If your cat is a bit under the weather, the best medicine is taking them to your veterinarian. Only cat approved medicines should be given, and your vet will be the one who will prescribe them. Cats mean a lot to us in our lives. We do everything we can to provide a safe and happy home for our felines. Unfortunately, sometimes our homes aren’t as safe as we thought. We can, however, do something about it. Practicing safety on a daily basis is a huge step in ensuring our cats are healthy and out of harm’s way. You and your cat deserve a long and happy life together. It should start with a safe home.